General facts: Tamdhu is a Speyside distillery and this is an official NAS-bottling at high strength (batch strength) but not necessarily cask strength. 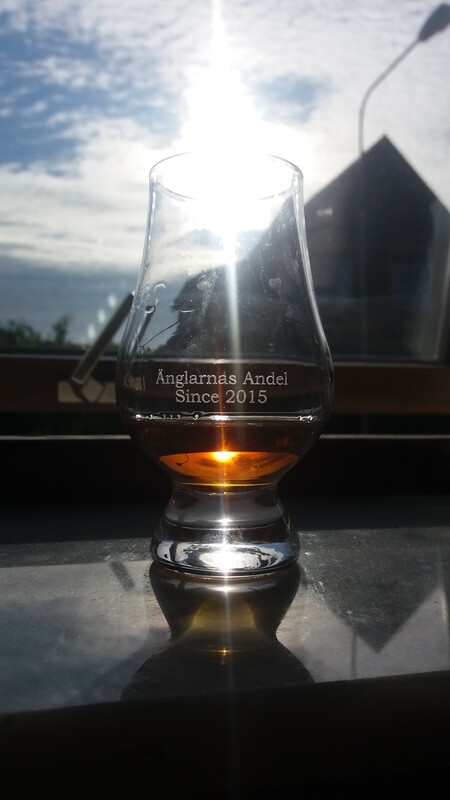 The ABV of this dram is a healthy 58,8 % and the whisky has been matured in solely sherry casks where a majority of the cask are supposedly firstfill of both European and American oak. It is not artificially coloured or chill-filtered. The price is around £60, depending on country and store. Nose: Loads of apple juice, a hint of something like chlorine and a dash of caramel. A pretty “closed” or reserved nose in the beginning. Then tangy lemon and a bit of spirit notes(hardy surprising considering the ABV, though), but behind that spirit note there is a different kind of spiciness, mainly saffron actually but also vanilla and a fair amount of cardamon. The nose continues being a bit closed and hard to get, despite airing the whisky for some minutes. Nothing flirty about this nose, nope. With water the citrus note turnes more prominent and transforms into clementine. Some sweetness has found its way forward in the shape of brown sugar and the chlorine note has gone away and has been replaced by a sort of metallic note in the background. Interesting! Taste: Quite a bit of oakiness, and some sort of evident sherryish note (is it sherry matured? I haven’t checked the facts before tasting it). Sneaky Christmas spices, dried fruits with apricots and raisins. Cherries and a hearty, kind of oily mouthfeel, but also some subtle floral notes like Lily of the Valley. With water the whisky turns both sweeter and spicier- Classic syrup but the taste in fact reminds me more of a nice chai latte, with the Christmas spices, the sweetness from the spiced syrup and that milky creaminess. The oak is still there and makes sure the whole thing doesn’t turn too nice, and a bit of figs appears now with some toasted nuts. Finish: The aftertaste is not really dense or massive in any way, but does actually linger in the mouth for quite some time, which is nice. It’s dominated by oak and some really dark chocolate. Burnt sugar too. With water the finish deepens a bit and turns more peppery, fiery and that burnt note with a new sweetness to it stays around for a while. Okidoki, all you A’Bunadh-fans out there should really start polishing your credit cards, ‘cause this is to me a worthy opponent. It’s not an as extreme “sherry bomb” as the Aberlour but without a doubt a young, rich, sherried whisky with an attitude which kind of struts into the bar and fires off a few crooked smiles. Most def better than Glenfarclas 105, in my honest opinion. I think this is fun and a lot of bang for the bucks, and this bottling makes me want to taste a lot more from Tamdhu. A pleasant, decent every-day dram with a nice amount of attitude to it, and I wouldn’t mind having this in my whisky cabinet.